Convey a sense of warmth and sophistication in your living room or master bedroom with the modern Laguna Flat-Wall Electric Fireplace. The fireplace features a black finish with strong, simple lines accentuated by a stainless steel surround and elevated glass top. The interior of the fireplace displays an authentic brick-look that gives it the realistic sense of a real wood burning fireplace. 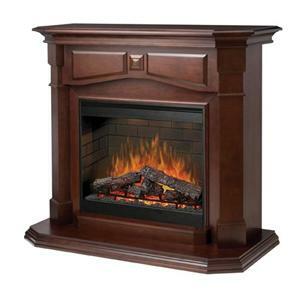 You will love the ease of use of this electric fireplace. No venting is required. The fireplace features a patented, lifelike flame effect with pulsating embers and LED inner glowing logs. 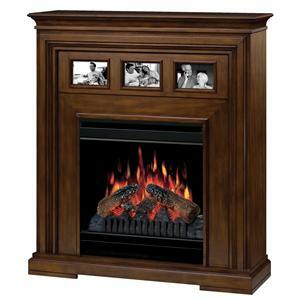 Enjoy the flame any time of year as you can operate this unit with or without heat. A handy on/off remote control comes with this unit which allows you to control the thermostat, flame speed, and Interior lighting without having to leave your seat!With the purifire feature, you can breathe easy and live healthy. 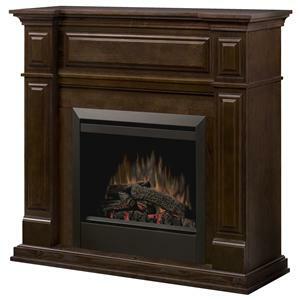 The Flat-Wall Fireplaces Laguna Flat-Wall Electric Fireplace by Dimplex at Hudson's Furniture in the Tampa, St Petersburg, Orlando, Ormond Beach & Sarasota Florida area. Product availability may vary. Contact us for the most current availability on this product. Incorporate a modern fireplace into your home with your choice of these compact flat-wall fireplaces. These electrical fireplaces make it easier than ever to add the beautiful look of a hearth to your home along with modern convenience and safety. 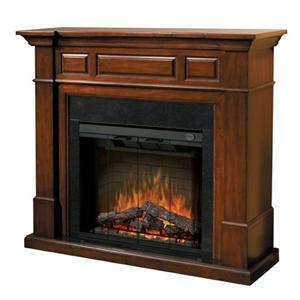 Fireplaces operate with or without heat. The Flat-Wall Fireplaces collection is a great option if you are looking for Traditional furniture in the Tampa, St Petersburg, Orlando, Ormond Beach & Sarasota Florida area. 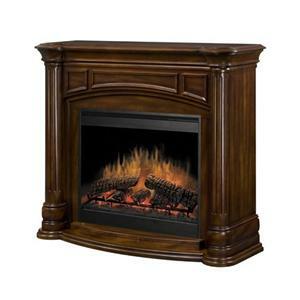 Browse other items in the Flat-Wall Fireplaces collection from Hudson's Furniture in the Tampa, St Petersburg, Orlando, Ormond Beach & Sarasota Florida area.